TRIBUTES have been paid to a “dearly loved” motorcyclist who died in a Poole crash last week. Paul Tovey, who was 35, was killed when his orange Kawasaki motorbike collided with a white Audi A1 in Parkstone Road on the night of Tuesday, August 29. He had been out with friends at the time of the collision. Emergency services were called to a stretch of the road near the junction with Birds Hill Road at 9.15pm and Mr Tovey was taken to hospital with serious injuries. He died shortly after his arrival at the hospital. The driver of the Audi, a man aged in his 20s, and the front seat passenger, a woman aged in her 20s, were treated for minor injuries. Mr Tovey had been in charge of the Poole depot of furniture reuse charity Dorset Reclaim since the beginning of this year. 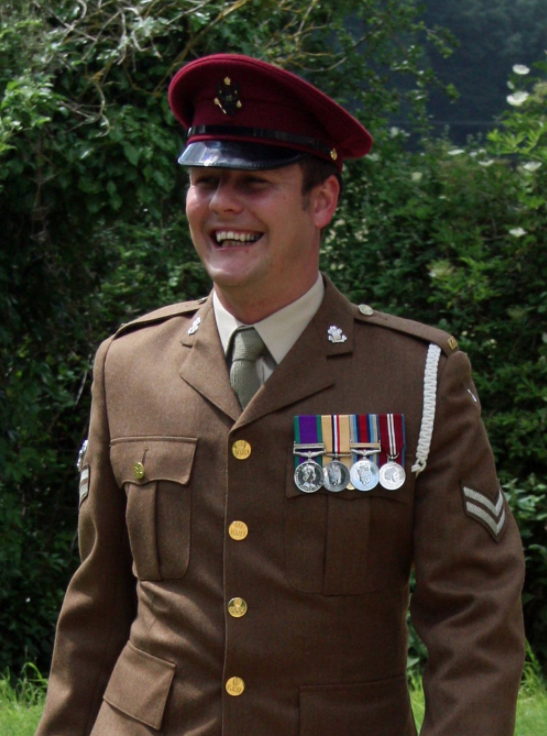 Previously, he served in the forces for 12 years, completing tours of both Iraq and Afghanistan. His father Ray has managed Dorset Reclaim since the organisation first launched in 1998. The charity now has 28 staff and more than 70 volunteers across its four branches. Ray said: “I am an extremely lucky man to have had a son who made me proud in so many ways. “He was dearly loved by all in his family and I am now also beginning to understand the huge impact he made in his wide circle of friends and colleagues, both in the military and outside. Ray also thanked staff and volunteers for “pulling together in a very difficult time”, and said many had sacrificed leave or worked extra hours while he and Mr Tovey’s stepmother Joanna Taylor were away from work. Steve James, operations manager at Dorset Reclaim, said: “Paul was an extremely popular colleague and friend to many at the charity who will be very much missed. Dorset Reclaim will be closed on the day of Paul’s funeral to allow all staff and volunteers to attend. Flowers and cards have also been laid close to an entrance to Poole Park. One of the cards reads: “Toves, such a tragic loss. “Thinking of all your family. Anyone who witnessed the collision or the manner of driving of the vehicles involved immediately before the incident is asked to contact police by calling 101. Reproduced courtesy of Bournemouth Daily Echo. Click Here to view original article.